A blog about the Creatures video game series. The official manual for Creatures Village, available through GOG.com, says in its walkthrough that you can choose any one of three eggs to start your game, however only two are provided when you start up a new world. This was drawn to my attention by a recent help topic in the GOG.com forums. The most comprehensive way of getting more eggs and norns in Creatures Village is to install Grendel Man's CV Population Update, which gives four eggs at startup and allows you to keep 8 norns, and changes the genetics of the creatures to improve their memory. If you'd just rather recover the three eggs ability, download this file and put it in your C drive > GOG Games > Creatures Village > Bootstrap > 001 Main folder - it will replace a file in there, restoring the 3 eggs ability. To see results, start a new world. Download Slink's Creatures 2 scriptorium and unzip it. Then open the "c2scrp.htm" file in your web browser and you'll get a list that looks a little like this: with sprite files, names, class numbers. The Scriptorium browser that's available with the Creatures 2 CAOS Tool is more comprehensive, as it comes directly from your copy of the game, particularly for more complex objects, like the Vibraphone, but for a quick reference to sprites and class numbers, Slink's Creatures 2 Scriptorium is where it's at. It will then create a new script for you. Move the script from the "Remover Script" section to the "Install Scripts" section, and remove the script from the remover section. This will allow you to inject it as if it was any other COB. In the Picture tab, use Slink's C2 Scriptorium to find the correct sprite file name from your game and import the image - this can help prevent crashes. The sprite for the purple ball is dbal.s16. Now, the little * in the name of the COB means that the file needs to be saved, so I'll go ahead and do that. The amount being -1 means there are infinite amounts of purple ball remover. If you just want to get rid of those purple balls right this second, download the fruits of this tutorial. Note that the green tennis ball has more scripts associated with it than the purple one does. I would not recommend creating a 'Remove All' remover COB like this because the inst command makes things happen in 1/10th of a second - so putting too many things in one remove script might make the game crash. would be to put it in an installation script for a new object using the same class number - so that the purple ball is removed before a new object is created. Free Art Source - Pixabay.com! Pixabay.com is a website with the purpose of providing art, photographs, and videos for free. The images can be searched for by whether they are photographs, vector graphics, illustrations (including CGI), or videos. Furthermore, you can search by if the image is in portrait or landscape orientation, and by several broad categories, like Nature/Landscapes. When you find a picture, you can download a smaller resolution version for free, under a Creative Commons 0 license. A larger version is available if you sign up for free. Pixabay is partnered with Shutterstock, so make sure you are careful not to fall in love with the first image you see - there is a line of Shutterstock content for sale up the top of all search results, and to the right. There are some oddities with spriting for the Creatures series that Pixabay images may need to be altered to fit - in particular, pure black appears transparent in-game. However, Pixabay has a wide variety of free art which could easily be adapted into background images for digital collage metarooms. Just a quick note to say that Pilla of Pilla's DS Agents has created an updated metaroom map, with 99 known metarooms on it! This is based on a collaboration at the Creatures Wiki, the Creatures 3 and Docking Station metaroom coordinates. Don't forget to open this page to see what the different metarooms in the map are! I hope everyone enjoyed the Creatures Community Spirit Festival 2016 - I know I did. Congratulations to Allekha and Doringo for pulling it all together! I thought I should post a CAOS walkthrough of the Fixed Christmas Pudding and Fixed Turkey (they are identical, bar the sprites and class numbers used) to demonstrate how they work. Note how the pudding doesn't vanish from the world (using KILL) in the eat script here - this is accomplished by the drop script in the original, leading to a food item that only vanishes once it is dropped - not so good for learning! The fixed editions have an additional feature that turns these from one-shot treats to easy-to-find emergency rations. You look down from the sky, manipulating the world and seeing how it responds to your changes. You are able to alter vegetation and climate while watching their effects on the surrounding organisms. 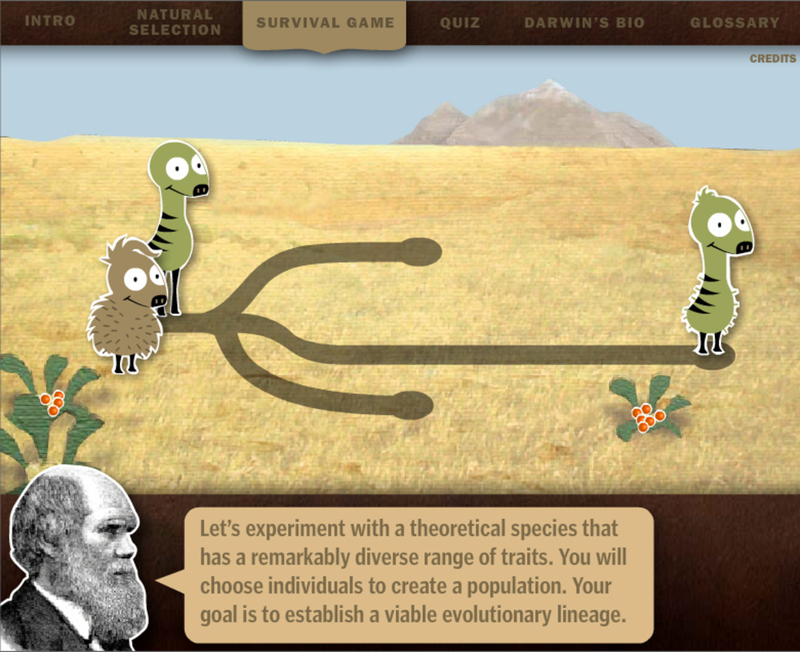 In this way, and many others, digital games provide excellent opportunities for players to learn about complicated subjects, including the concept of evolution through natural selection. Even games designed for fun and not specifically for education can provide rich, concise, dynamic representations of complex science, technology, engineering and math topics. Since I was young, digital games have successfully supplemented the educational process in a range of topics, including math, science and biology. Research shows that if these games are going to actually teach those concepts, they must represent them accurately. Games that include incorrect depictions teach the wrong lessons. Organisms with genetic advantages for their environment are more likely to survive and reproduce, while organisms whose genes make their bodies less suited will die more quickly and reproduce less effectively. Because these characteristics are genetic, they are passed on to offspring. Organisms with genes that improve their survival will have more successful offspring, which will in turn pass on their advantages to the next generation. Some colleagues and I looked into how well current games could serve as educational tools, specifically about evolution. We examined how Darwinian evolution was represented in 22 games, which we located either through game databases like GameSpot or IGN, or through Google searches. Most games got evolution at least partly wrong. Only five accurately represented all three key principles of evolution. “Creatures” provides a rare example of the three principles. In that game, players create cartoon-like creatures called “norns,” through a process that allows norns to be altered not just in terms of appearance, but at the genetic level. For the most accurate representation of evolution, the game offers a play mode called “wolfling run.” In that mode, players cannot directly affect their norns, but can observe their relative fitness for a particular in-game scenario. The potential variations in both norn creation and the environment they must survive in provide for an astonishing number of evolutionary possibilities. Maxis, best known for creating the “SimCity” game series, and its spinoff “The Sims” collection, also made a set of games called “SimEarth” and “SimLife.” Like “SimCity,” both give players top-down control of a world. “SimEarth” was designed for players to make major changes to the weather, landscape and animals to create an environment. 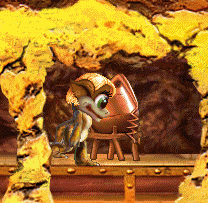 Players were then able to see how the animals would fare in this created environment. “SimLife” was more specific: it has players engage with the animals (rather than merely creating them) to learn about the biology surrounding their survival. We also found two academically oriented games that loosely presented the three mechanics of evolution: “Selection Game” and “Who Wants to Live a Million Years” (which was later renamed “Charles Darwin’s Game of Survival”). The two games were designed to be simple tools that could be played quickly in places like museums. Despite the limited mechanics present in such games, they still clearly show each element of the evolution process. The most commercially popular game we found didn’t quite get evolution right. “Spore” left out something many other games did, too: Organisms' genetic differences didn’t affect their survival rates. Instead, organisms whose genes were unfit for the environment would not necessarily die more often, in keeping with evolutionary principles. Rather, players could intervene and increase an organism’s likelihood for success by, say, helping it move more intelligently and strategically, beyond the scope of its genetically predisposed movements. Nevertheless, “Spore” does a reasonable job presenting the broader concept of evolution to players, and is the best such game made this century. (“Creatures,” “SimEarth,” and “SimLife” are all from the 1990s.) “Spore” is also still available for purchase, so it is the only game readily usable by the average educator or student. But other findings were disappointing. Most games inaccurately portrayed evolution, usually in the same way Spore did – allowing player intervention to save organisms that were unfit for survival. For these other games, evolution becomes more akin to mutation during a single organism’s life than a process that occurs through generations. In “E.V.O. : Search for Eden” and “L.O.L. : Lack of Love,” players earn points they can spend to modify their organisms. In “Eco,” at the end of each level, the player arbitrarily changes an attribute, though not necessarily one that affects an organism’s survival prospects. In each of these cases, what the game calls “evolution” is actually external genetic manipulation, rather than inheriting particular traits. These inaccuracies may confuse those unsure of what evolution actually is. If other scientific subjects are similarly poorly depicted in video games, the potential educational benefits of these games could be lost. However, as game designers become more adept at modeling scientific themes, it could herald an educational revolution. After Jessica reviewed my still alteration, I have altered it to be a bit more generous with its bounty of chemicals. I have also included three variants. The Alcoholic variation includes 5 Alcohol with each sip, and the Dancing variation includes 15 Purple Mountain Alcohol/Dancing. There is also a plain, non-alcoholic variation. I recommend using the still alteration with Muppetboy's Bees and Hives Upgrade 2 as that updates the beehives to give a slurp of honey with each push, giving even greater consistency between vendors in C1. As only Muppetboy's Yin Yang Norns have instincts to use vendors, I recommend explicitly teaching your creatures how to use the still at first, particularly if they've had a run-in with the beehives. Creatures Reddit: Norns, Grendels, Ettins, and More! Just a preview… - Just a quick preview of some new vegetable sprites I’ve been working on. CCSF 2017 is Live - The Creatures Community Spirit Festival for 2017 has kicked off! Go to https://ccsf-2017.blogspot.com/ to find all the goodies. Quick Note - Although this blog seems abandoned, I have not forgotten about it. I will try and post the remaining tutorials during the CCSF this year.